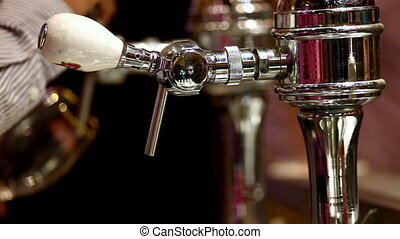 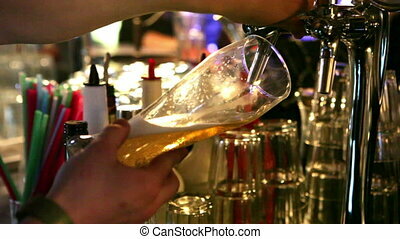 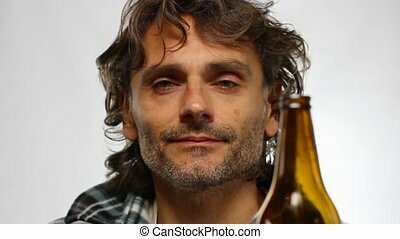 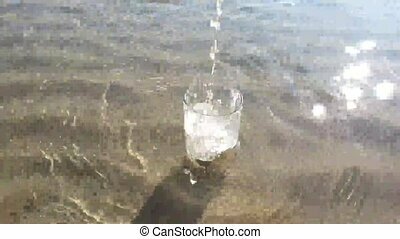 Pouring beer. 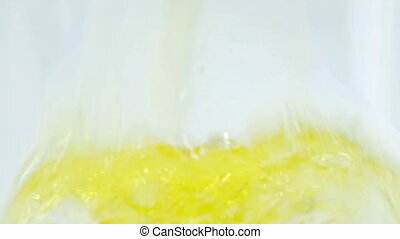 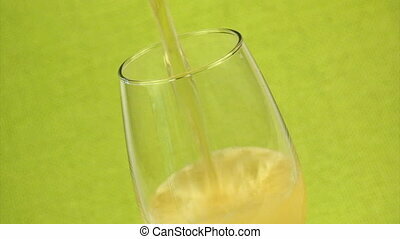 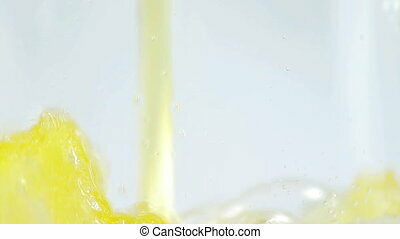 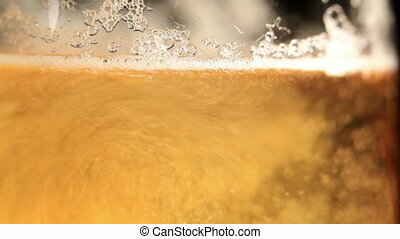 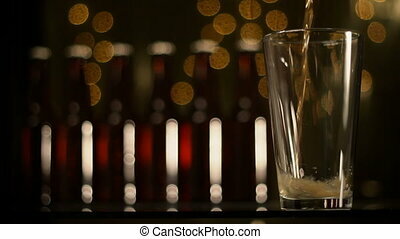 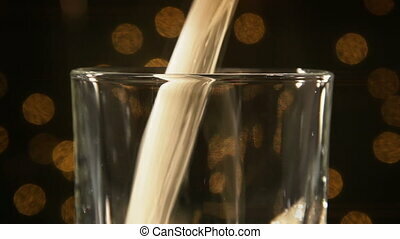 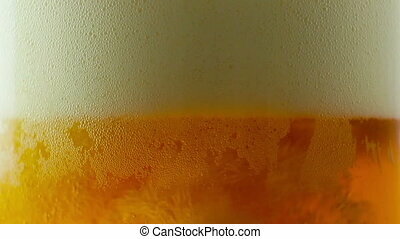 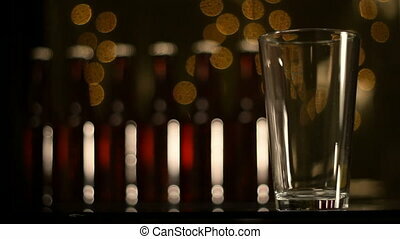 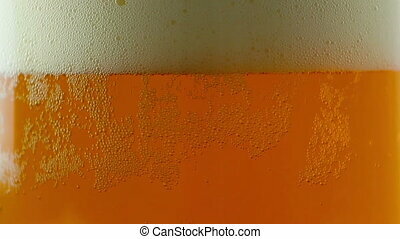 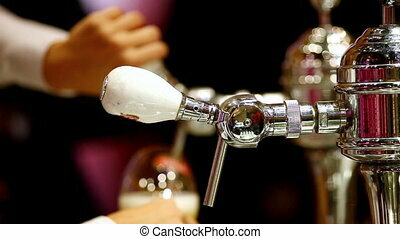 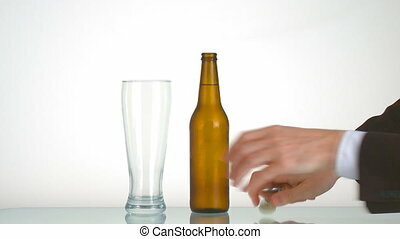 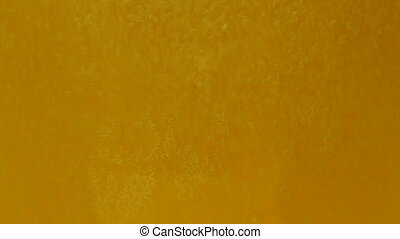 Beer beeing poured into translucent glass, white isolated background, detailed shot. 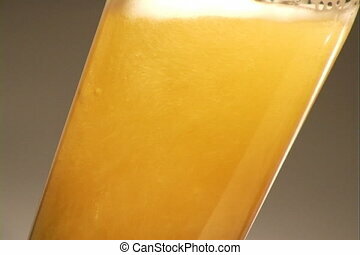 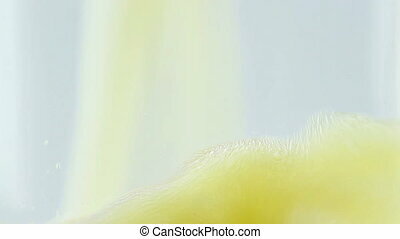 Close-up on a glass of beer.